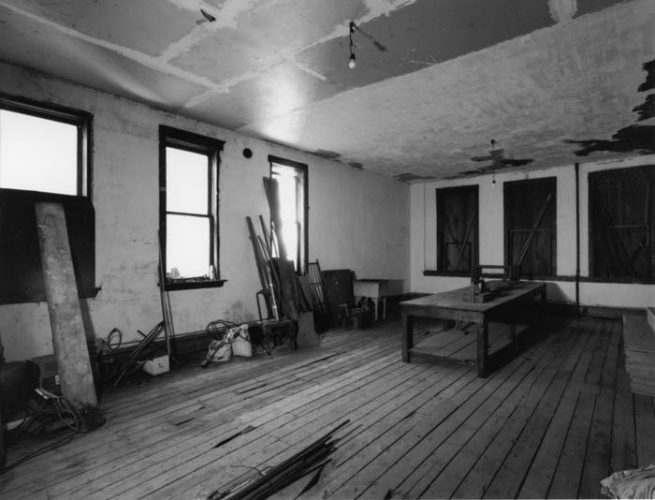 This second floor interior space once was a residence for the rabbi who operated a kosher butcher shop and synagogue on the first and third floors, respectively. The Jewish population was the largest and longest-standing in the Maxwell Street area. All images published by the Maxwell Street Foundation within this website are copyright of the artist and are for educational, personal, and/or noncommercial use only. For any other use, please contact gro.n1555620936oitad1555620936nuoft1555620936eerts1555620936llewx1555620936am@of1555620936ni1555620936.